Having thoroughly tested your sea legs in the Maritime Museum, you can visit Rotterdam’s most famous ship’s mast… the Euromast! 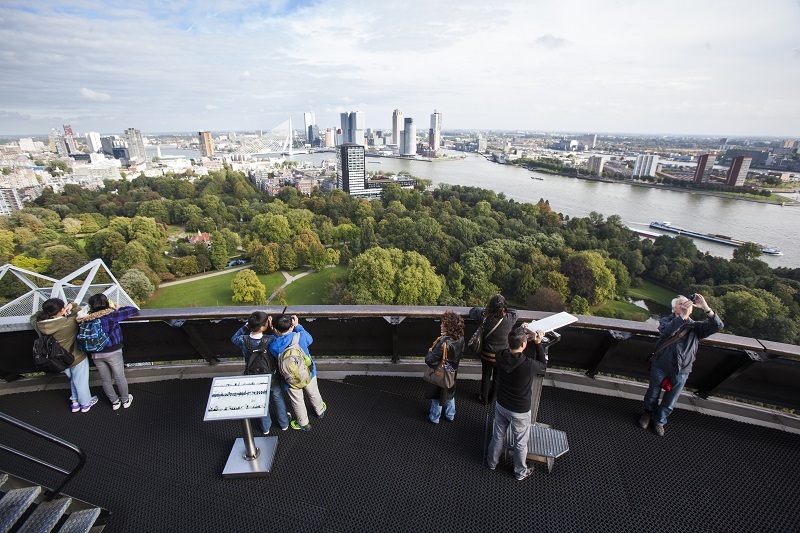 You reach the top of the Euromast, 185 metres high, in the Euroscoop, a rotating lift, and on a clear day you can see our world port, The Hague and the cooling towers of Antwerp! Combination tickets are for sale at the Euromast and the Maritime Museum Rotterdam. This combination ticket is for individuals, and only valid on the day of purchase. Groups of 20 people will need a reservation. The Maritime Museum is a great family museum and is ideally suited for a visit with children from 4 years. We offer a wide and varied program and a true maritime experience for both adults and children.